They certainly do look like (very beautiful) creatures from somewhere else! Gorgeous - might even be able to conquer my own okra fear now! I love fried okra. I must try this-- it looks so wonderful! okra has never looked so glamourous. ever. Ah, so this is a rite of passage - getting over the okra phobia. Congrats! Great recipe - I've been looking for recipes that include amchur powder - I have an entire canister but no recipes!!! Lucy – They do possess great, other worldly beauty, don’t they? And they were only the size of my index and middle fingers – lady fingers, indeed. Hi, Ann. Thanks. Since you already like okra, this will probably put you over the moon. Bee – Thanks. I’m going to send okra a proposal to be its PR agent. Thanks, Sra. If it wasn’t for Indian cuisine, it’s likely I never would have gotten over the hump. Hi, Jaden. Thanks. Good to see you. An entire canister of amchur, eh? Well, I have a small, but substantial bag of it. Couldn’t resist, but am a bit hard pressed to find the more remote recipes where this snazzy sour powder is routinely used. Thanks for visiting! Thanks, Sandeepa. I knew you would like it. Hi, Susan. Thanks. I did have a little trouble with the coating sticking, but not substantially. I don’t know that it’s supposed to be thickly coated like a batter-dipped vegetable, so some fall off is inevitable. Ensuring the fat is super hot and maintaining that temperature is key. Another tip is to work quickly to fry the strips once they are coated. The more they sit waiting in the fry queue, the more the coating damps up. I’d initially thought to bake them, but for the first try, I wanted to follow the recipe as closely as possible. I’ve made baked zucchini strips with excellent results. If flavor is not compromised w/ baking, I’m all for it. Yes, Suganya. Just for you. I didn’t want to miss your event. I completely support less meat and more vegetables and legumes in every diet. I happen to love okra. I always knew them as ladies fingers till I traveled to the USA and I had deep fried okra with some of my African American friends. Hope thay you tech difficulties will be sorted soon. for someone that's not a big fan of okra you still come up with such a lovely recipe!! i love the first photo..it could be a good cover for a cookbook ! My dad is absolutely crazy for okra, Susan - he's gonna love this! hey Susan! that looks really pretty..in fact, this simple dish is not quite as easy to make as Okra can become sticky, so the way yours has turned out is great! I should try this sometime. Thanks for the recipe. Thanks, Nora. 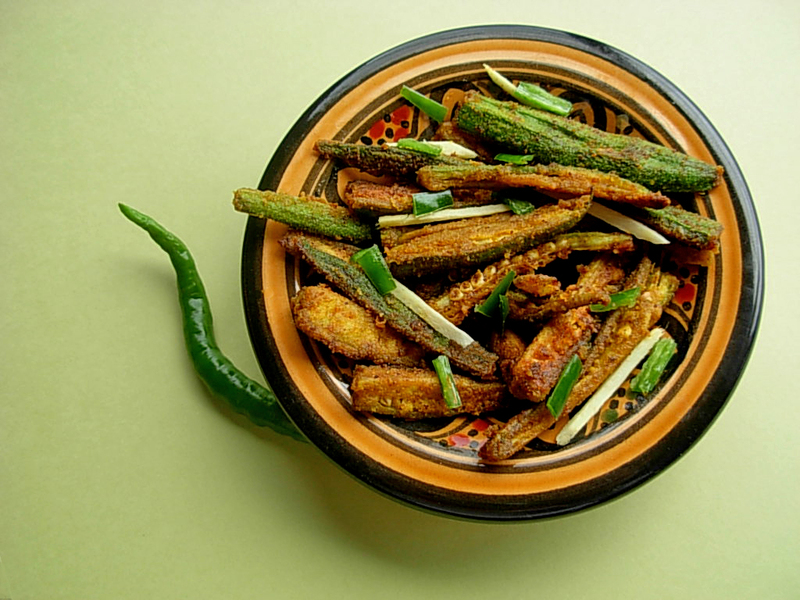 Okra is very popular in the southern U.S. in Cajun and, as you mentioned, African cuisine. Now that I've broken the ice, I'll be trying out different recipes. Thanks, Cynthia. I had something like this in a vegetarian Indian restaurant. That dish gave me the courage to try this. Dhanngit - Thanks. 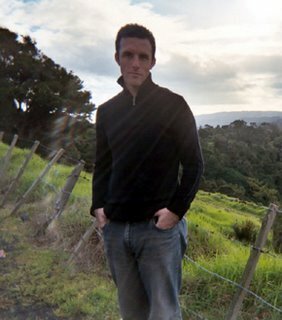 I was pretty happy with the first photo myself. Sometimes it pays to revisit foods you never thought you could handle. 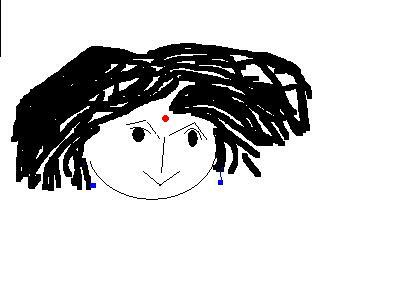 Hi, Mansi. Thanks. I was determined not to "muck" this up. I took a long time thinking it through. The odds were against me, but it was a great success. I really loved it. Welcome, Kumudha! Thanks. It was tastier than I expected it to be. Good to have you here. Susan, lovie ~ Isn't it funny that so many people have had horrible experiences with okra. I, for one, have only had great times cooking it, but I suppose it is because I have read a bit about it by virtue of Roden's various preparations for it in The New Book of Middle Eastern Food. I love the spices and besan. As always, you elevate everything. So, when are you cooking for me? P.S. I hope the table worked out for Thanksgiving. i love this crispy lady's fingers! Ah, my mouth's watering! I simply love okra! 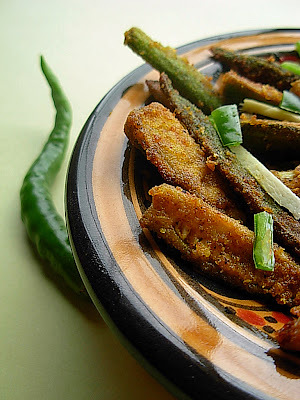 It is rare that okra makes my mouth water, but this recipe sounds (and looks) amazing! Susan, I'm a HUGE fan of okra, even just steamed and salted. This sounds wonderfully spicy and flavorful. Another great flavorless oil, by the way, is canola. It has a nice, high smoke point for smoke-free frying and offers some of the same health benefits as olive oil. I love Okra, and spicy and fried it must be delicious. Thanks, Shaun. 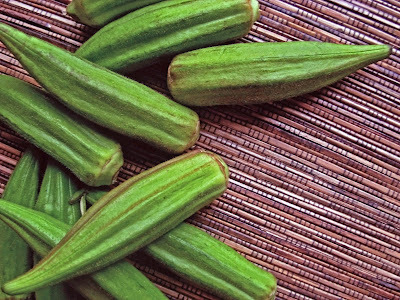 If you’ve had one ill-prepared okra dish, it can scar you for life. I haven’t seen Roden’s write-ups yet, but I’ll have to peruse now. When am I cooking for you? Get yourself on over here for keeps, and we’ll see what we can arrange. The tables turned out to be a great little investment, clean and sturdy lines, solid wood, and the ability to reconfigure them to suit the needs of the moment. Today’s moment is angled and arched with me on the laptop at one end; the one closest kitchen at the other; and the one in the middle functioning, predictably, as a way station for assorted dining and bookish clutter. Hi, Nanditha. Lady fingers is such a cute name for them. Hi, Kristen. I’m hoping more people will venture into exploring this stigmatized veggie. It’s really all in the preparation. Thanks, Rosa – Fried food is an occasional treat here, so I was thrilled this recipe was a success. I was worried the okra would gum up the crispiness. Hi, Terry. I’m ready to try other okra recipes now. I do occasionally use canola oil, but didn’t know about the smoke point. Thanks! Yes, Dhanggit, now I know! I’m glad you enjoy the photo. Thanks! Hi, Sylvia. I wonder how Latin cooks would prepare okra? I’ll have to research. WOW, cooked okra looks so beautiful in your pics !!! Thanks, Shn! Beautiful flavor, too.